Hello everyone! Now I’m playing Peek-a-Boo bonus slot at the BlackJack Ballroom online casino app. 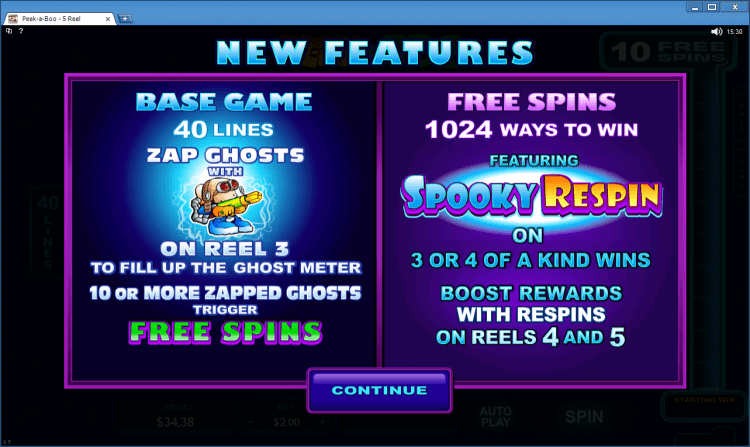 At first you must to choose type of game: Base Game with 40 lines, Zap Ghosts, where 10 or more Zapped Ghosts trigger Free Spins, OR Free Spins with 1024 ways to win, featuring Spooky Respin on 3 or 4 of a kind wins. 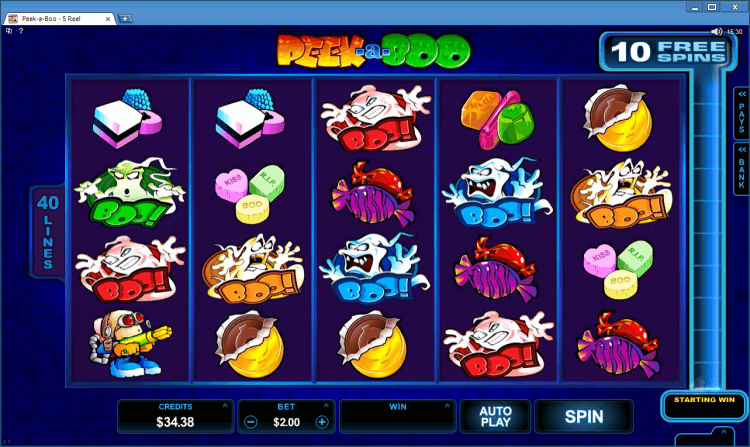 Peek-a-Boo bonus slot is a five reel, forty payline and four hundred coin slot machine. 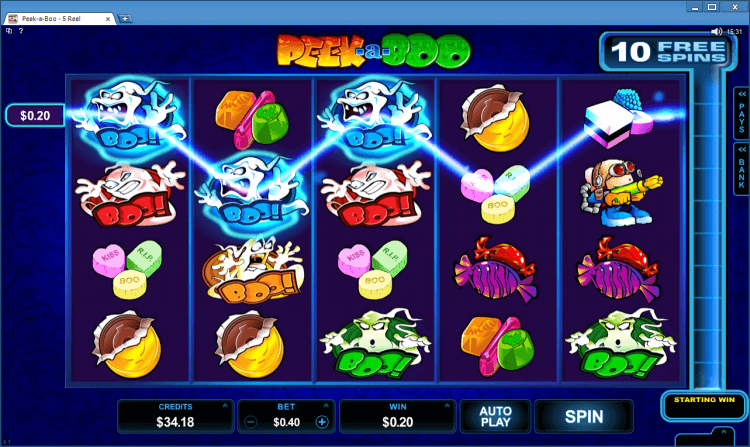 This is very funny slot with a lot of candies and BOO-ghosts! Here you can find regular symbols – are all symbols in the reels that don’t have a bonus feature but complete regular winning combinations on enabled paylines. The Peek-a-Boo symbol is a wild symbol. This symbol substitutes for other symbols to complete wins and creates a wild symbol stack. One Ghost Buster symbol displayed on reel 3 randomly zaps ghost symbols displayed on reels 1, 2,4 and 5. 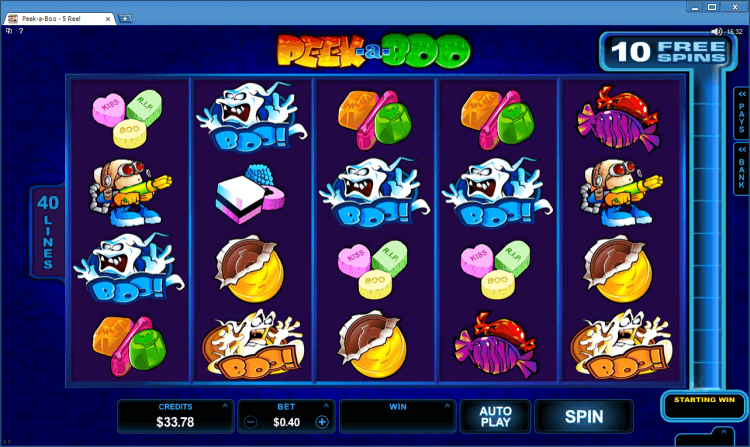 In this game you are awarded one free spin for each ghost collected. Once you have won all combinations for a particular symbol. You are informed of this achievement, and the symbol is highlighted on the payout table.